What’s the “secret” in secret breakfast? What does breakfast have to do with ice cream? Find out below and get a fun ice cream recipe to impress your friends!When I had my first bite of Secret Breakfast at San Francisco’s iconic Humphry Slocombe ice creamery, I was a skeptic unmade. Its velvety base bears a subtle, smoky hint of bourbon with a touch of saltiness and butter. The best part is a bite of bourbon-laced clusters of cornflakes. I can safely say I’ve never had bourbon for breakfast, but if I had a secret breakfast, this one would be ideal. A few friends convinced me to host a potluck in the urban oasis I call my San Francisco apartment, before I have to move out. With a great setting, I wanted to make something memorable. 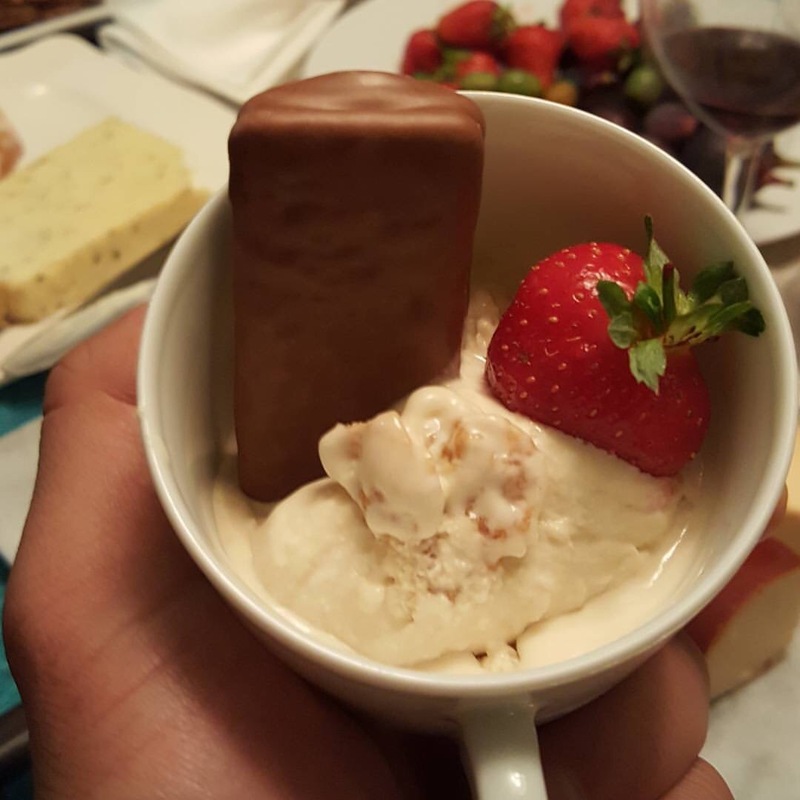 Homemade ice cream definitely has a Wow! factor, so I needed something unique. But I was out of ideas. Perhaps something adult and refined. Something unique. It hit me: why couldn’t I try my hand at recreating Humphry Slocombe’s Secret Breakfast? Bourbon ice cream? 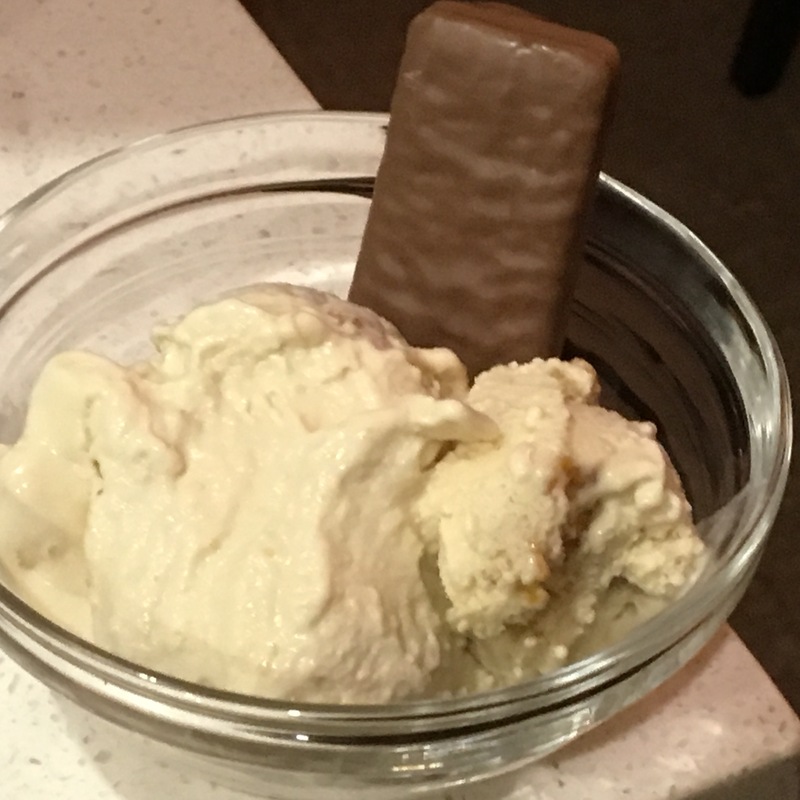 I previously experimented with bourbon when I made this bourbon-caramel ice cream last year. And I had stale Frosted Flakes in my pantry, so it was doable. The brown-butter bourbon custard base is creamy and the bourbon flavor subtle. 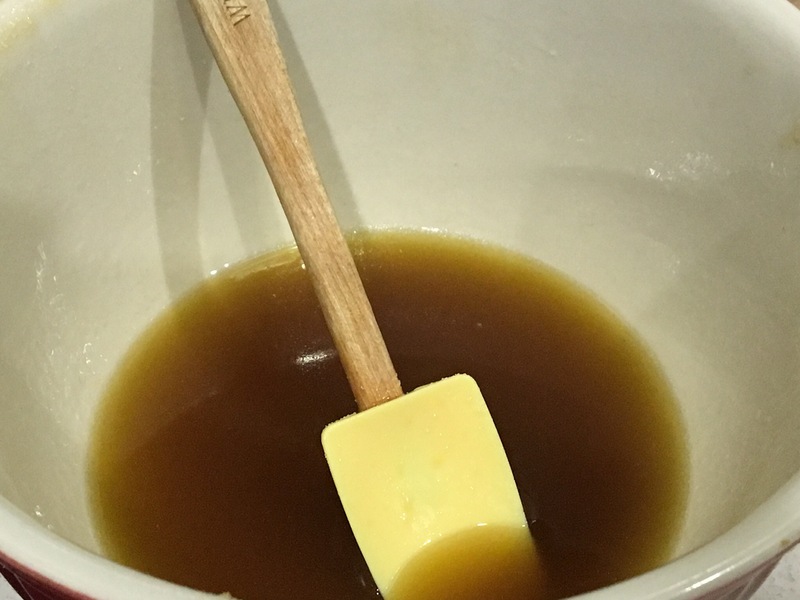 If you have more time, you could separately reduce a larger quantity of bourbon over low heat and fold that into the brown butter mixture in order to intensify the bourbon flavor of the base. The tricky part was trying to recreate the salty-sweet intensity of the bourbon-infused cornflake clusters without a recipe. Somehow, this one worked perfectly on the first try! 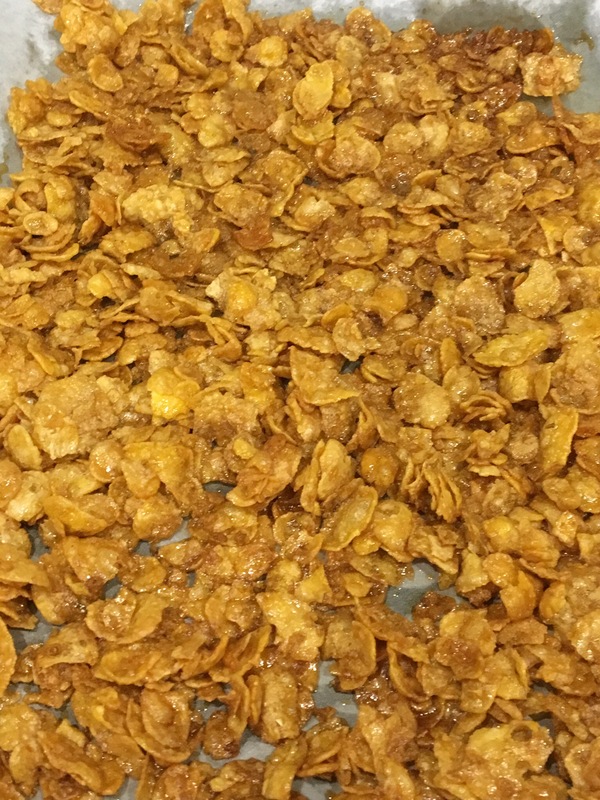 The second secret is to bake the cornflakes on low heat for a prolonged period, which creates a sort of cornflake brittle. The honey, maple, bourbon, and butter glaze is addictive, and I found myself snacking on the clusters in the 48 hours between when I made them and when I actually assembled the ice cream. I used Frosted Flakes, but any type of pure corn flake will suffice. When the churning was complete, I was overwhelmed by my guests’ reviews. “Better than Humphry, “You nailed the cornflakes,” “Well, you’re probably cuter than Humphry too,” “WTF”, and “this is so addictive” were a few of the comments. Despite a heavy meal and full stomachs, almost everyone went back for second and third helpings. Not a drip of this unique ice cream remained when my friends left my home. It tastes far superior when served an hour or two after it is churned. I recommend making the custard base and cornflake brittle at least 24 hours in advance, and churn the ice cream right before serving. Freezing the churned ice cream for an hour or two will help ensure a more solid, yet still creamy texture. When storing leftovers – if you have any! – try to use small containers that you can pack to the brim (no air gap), which will slow the growth of ice crystals. 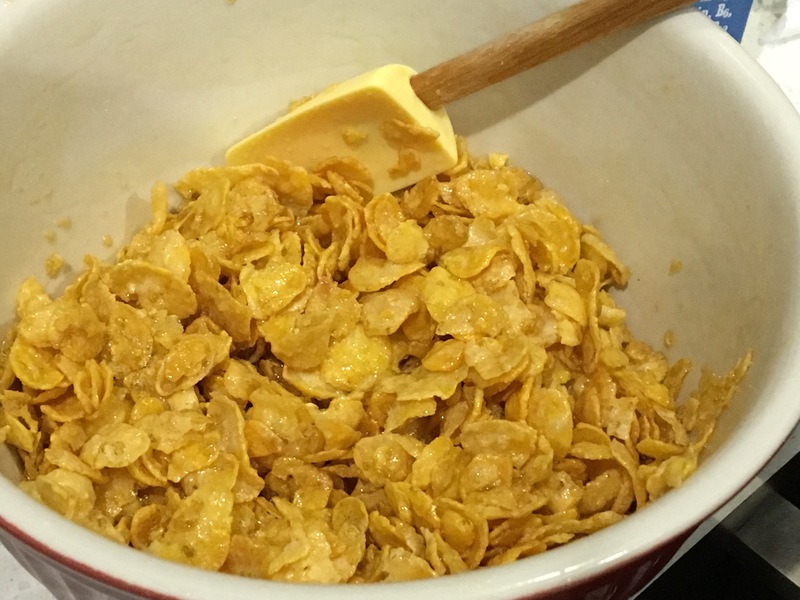 In a medium mixing bowl, combine all ingredients except for the corn flakes. If any ingredients remain solid, microwave the mixture on LOW power for 15-30 seconds. Whisk until smooth. Fold in cornflakes. Line a rimmed baking pan with parchment paper. Spread cornflake mixture in a thin layer across the pan. Bake for 90 minutes. While baking, make the ice cream custard base. Cool the cornflake. Clusters completely before serving. When baking is complete, remove the cornflakes from the oven. Cool. The cornflakes may be pliable or soft in texture when warm, but as they cool, they should harden. When cool, break the cornflakes into granola-sized clusters. Store in an airtight container until ready to churn and add them to the ice cream. 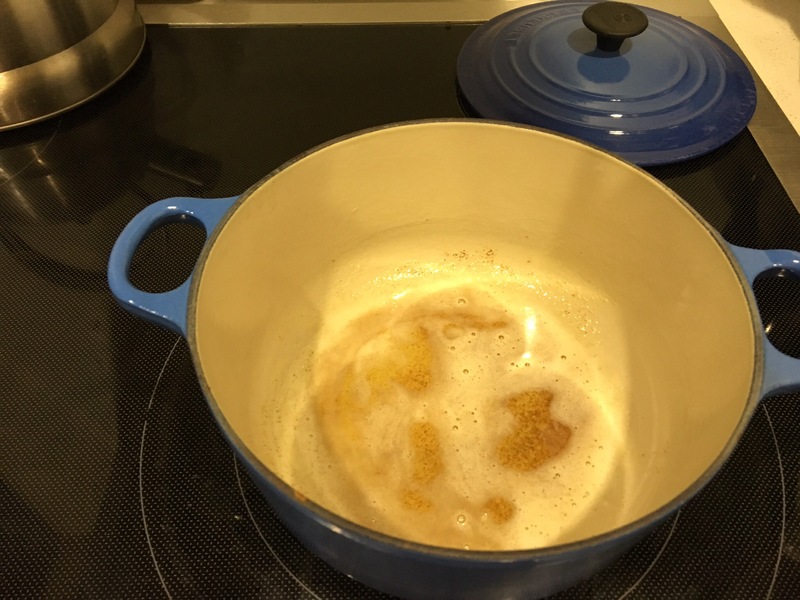 In a medium pot or saucepan over medium-low heat (just under medium), melt the butter. 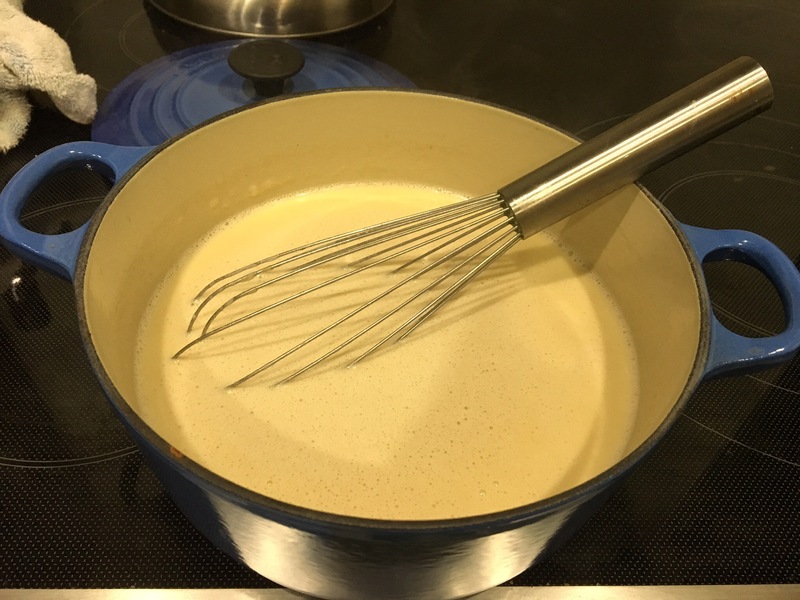 Allow the butter to brown, stirring/whisking infrequently until the bitter is uniformly light brown in color. It may appear grainy when left alone – that’s not a problem. It should have a toffee-like, caramelized flavor when it reaches this stage. As the butter continues to bubble and darken, add a few tablespoons (about 2) of whipping cream and stir. 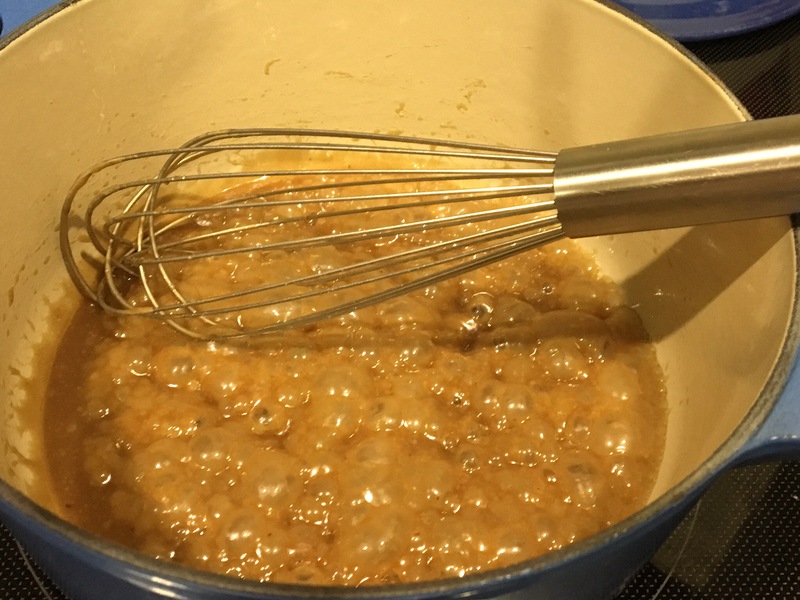 Next, whisk in the brown sugar to form a paste; when it becomes too granular, add the remaining 2 tbsp. of cream (setting aside one cup). Add the bourbon, vanilla, and salt. Stir to incorporate and allow to bubble/boil for about 5 minutes. The liquid’s volume should reduce slightly. Outfit your ice cream maker and pour in the custard. Follow instructions for your appliance. About 5-10 minutes from completion of churning, add in the cornflake brittle directly to the mixture. Eat for breakfast at your own risk!